Maintaining a long and successful career in any business, but especially in the entertainment business, isn’t easy. To consistently keep people’s attention and entice them to return to your work, and your art is difficult. Michael Sweet has a music career that has spanned over 30 years now… from multi-platinum albums with Stryper, to several solo albums, and collaboration albums with other successful musicians, Michael is one of the most prolific and driven artists out there. And if his musical output isn’t impressive enough, he even found time to write an in-depth autobiography, 2014’s Honestly. At 53, Michael shows no signs of slowing down. Michael is a very outspoken, yet humble guy, and says that he’s amazed people still want to talk to him. He’s an artist who takes his lumps yet still speaks up, but does so, unlike many of his detractors, without stooping to unprofessional, vile, or hurtful levels. Michael Sweet is a class act. And his life both personally and professionally, demonstrate this. Hi Michael. I’m very glad to speak with you today. Thank you for taking the time. Hey, thank you, my friend. Likewise. I’ve been listening to, and reading some of your recent interviews. You’ve been very busy talking with Eddie Trunk, Chris Jericho, and others. Very interesting stuff. I’m going to throw in a couple things here today that maybe you haven’t talked about lately. 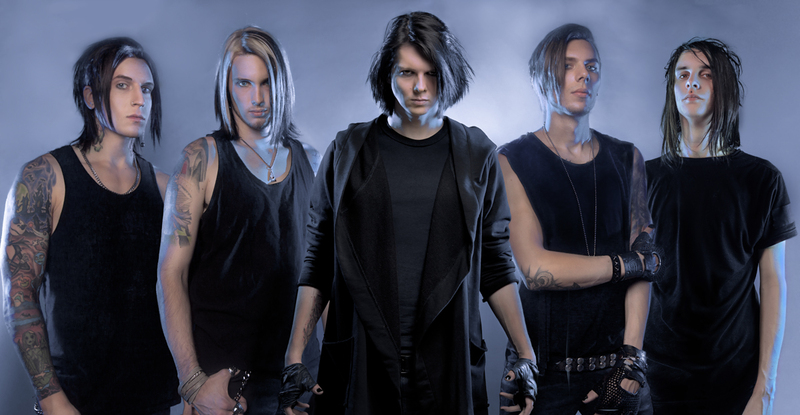 But first, I want to talk about the new album, One Sided War. What a record! I’m excited about this album, One Sided War. Gosh… I get more and more excited with each album that I’m a part of that I release, and it’s no exception here. I’m just super excited about it. Good. That’s just a good old-fashioned power-rock ballad. It really is. It’s very quintessential Michael Sweet, for those of us who know your music, both solo and from Stryper. The melody… that’s one of the things I want to discuss… You’ve talked in a couple of other interviews about melody in hard-rock music, and I think that’s one of the key things that really separates out Michael Sweet‘s music, and Stryper‘s music, it’s the strong melodic elements that you bring to your songwriting. Whether they’re the lighter-fare songs or the really heavy songs. Can you talk about melody in hard rock music, or the lack thereof perhaps, with some of the other acts out there these days? It’s definitely a key element. I’m a fan and follower of heavy rock. And you’re an artist who has the ability to swing… and I think this is really rare, in that you can swing from the heaviest of rock music and tracks on your current record, One Sided War, like “Bizarre,” the title track, and others… but then you can go, and this is a cheesy pun but… to the sweetest ballads with the biggest melodies that there are. And this goes all the way back to [Stryper’s] Yellow and Black Attack. As a songwriter, do you consciously do that? Does it just happen? Or is it some kind of combination? Can you talk about the opposite ends of the spectrum from heavy music to light, and how you do that as a songwriter? I don’t sit down and draw up a map for every album that I do, but I do think that it is a conscious effort for me to do that, in the sense that I don’t like albums that are, for lack of a better term, no pun intended, one-sided. I like albums that have diversity to them. 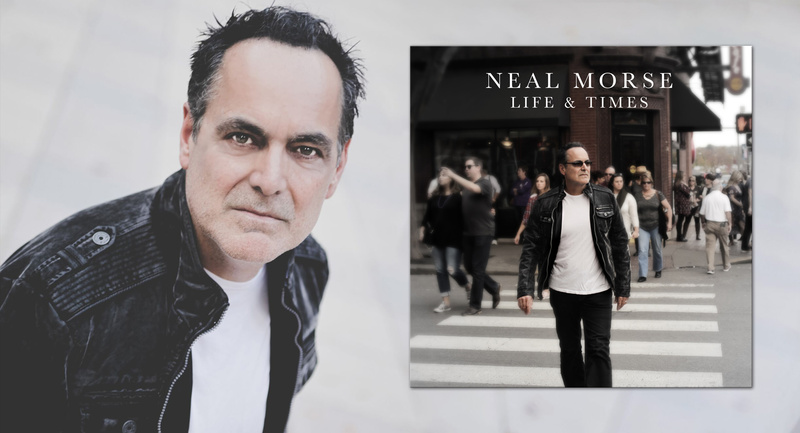 There’s nothing like buying an album, you hear a song on the radio, and you love the song, you go buy the album, and you listen, it’s like, “Ahh! There it is! I love it!” Then you listen to the next song, and it sounds really close to the song that you loved, and the third song is very close, the fourth song’s very close, and it’s just the same thing throughout the whole album. That’s just boring. That’s why I’ll do a heavy song like “I Am” or “Golden Age,” and then I’ll throw in a song like “Who Am I?” because to me, what it does for me, as a listener myself, is it keeps things fresh and it breaks the monotony. Agreed. As a listener, you need to be on that journey. So many of the bands today, it all sounds the same to me sometimes. Not all, but many, and I think that’s where your music really stands apart. I try, man, and again, I think that’s due to my musical upbringing and my roots. Like I said, I would blast [Judas Priest’s] Unleashed in the East in my car when I was 16, 17-years old, and then right after that, I’d throw in a Journey disc. Yes, I still love all of that stuff! And that’s kind of the key thing. You mentioned elsewhere recently, and I really liked this quote, that you “ran from your past for a while” on some previous records. Can you talk about that, and how you got back, both with your solo material now, and then of course with the recent Stryper albums? I think we subconsciously ran from the past, because we were running to the future. We were desperately… I’ll speak for myself: I was desperately, with the album Reborn, for example… Not a lot of people know this, but that was a solo album originally. It became a Stryper album, and that had a more modern flair to it, because I was listening to a lot of modern bands at the time, bands like Filter, etc. I was really into a lot of that stuff. It was taking me down a different path, which is good and healthy, but if you walk away from your history and your past, and you forget about that, that’s not healthy. Definitely not, and, of course, the market today is supporting that as you’ve talked about, and found with the last couple of Stryper records in particular: Fallen and No More Hell to Pay… No More Hell to Pay, I think is my favorite Stryper album ever, believe it or not. Which I didn’t think could happen from the classics like Soldiers Under Command and To Hell With the Devil, but No More Hell to Pay, for whatever reason, right from the first note of “Revelation,” I just can’t tell you how great that record is. There’s a huge demand for that sound and that style of music today, and you’re intelligently going with that, because you know that’s your bread and butter, right? It’s our bread and butter. It’s what our fans want, but I think it’s what the band wants too. That’s our sound. That’s what we grew up on as well. It’s also important to, at least to some degree, to try to stay relevant. There’s some bands that make albums that sound so ’80s, it’s not good. You’ve got to have a little bit of a modern sense infused and injected into what you’re doing, because we live in 2016, and if you want to bring in some younger people… “Revelation” is a great example, believe it or not. 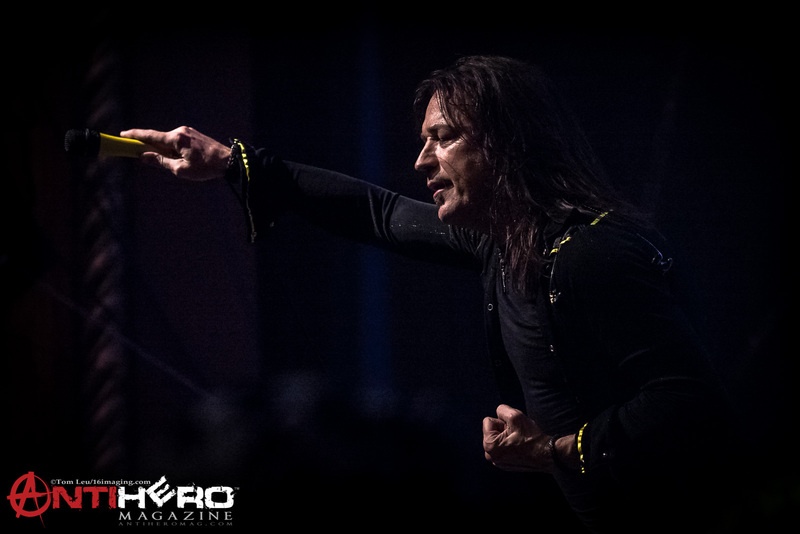 All the young kids that come to the shows, and we have a lot of them… We’ve got a lot of 15, 16, 17, 18-year olds, and I’ll talk to them all the time, and I’ll say, “So what’s your favorite Stryper song?”, and most of the time, they’ll say “Revelation,” because that has a little bit more of a modern flair to it, but it’s still Stryper. It’s very much Stryper; very riff-oriented, yet melodic. And speaking of bringing other people into the mix, and to stay relevant today, but still tapping into that classic sound, you’ve got a great band that recorded One Sided War. You brought in Ethan Brosh and Joel Hoekstra on the guitars on select songs. 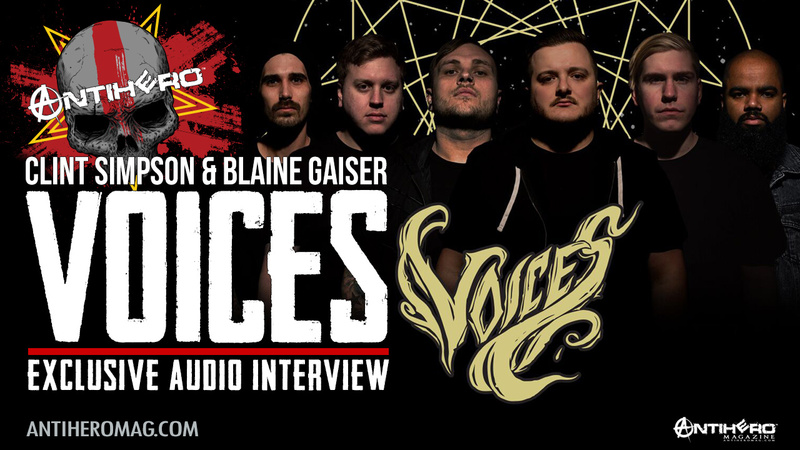 I found this really impressive that you recognized your sound, when you were doing the solos during the recording process, was kind of sounding more Stryper-esque than you wanted, and you stepped back from that as a producer and brought in others… Can you talk about that decision? (laughing) Do they ever say… Does Robert ever say, for example, the guitars aren’t loud enough, or anything but their instrument? 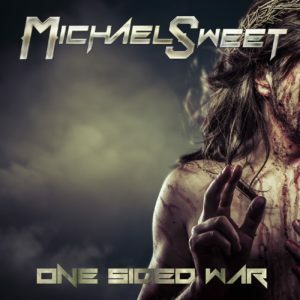 So which songs on One Sided War actually feature Michael Sweet guitar solos? There’s a few… First of all, the whole album features me on guitar. I’m playing all of the rhythms and most of the overdubs, but the songs that feature me on guitar solos are “Comfort Zone,” “You Make Me Wanna,” and there’s another song that’s a Japanese bonus track called “Not To Be.” And I’m playing the solo work on that as well. I think you could… If you listen to “You Make Me Wanna,” and you listen to “Comfort Zone,” it’s instantly [recognizable]… You’ll get exactly what I’m talking about. It’s me playing guitar, so it’s got a little bit more of that Stryper sound to it, you know? Of course. As I’ve been listening to this album over and over again since it came out… actually, I got it a couple of days before its release in preparation to talk to you, I can start to hear the nuances between Joel, Ethan, and you. I’m nowhere near the guitar player that Joel or Ethan are. Those guys are at completely different levels than me as a player. I really wanted to bring in some new talent and some incredible energy from those guys, and pull that out of them, and they really brought it, man. I’m so proud of not only them; I’m very proud of the bass player, John O’Boyle. Unbelievable playing. John’s a local guy. 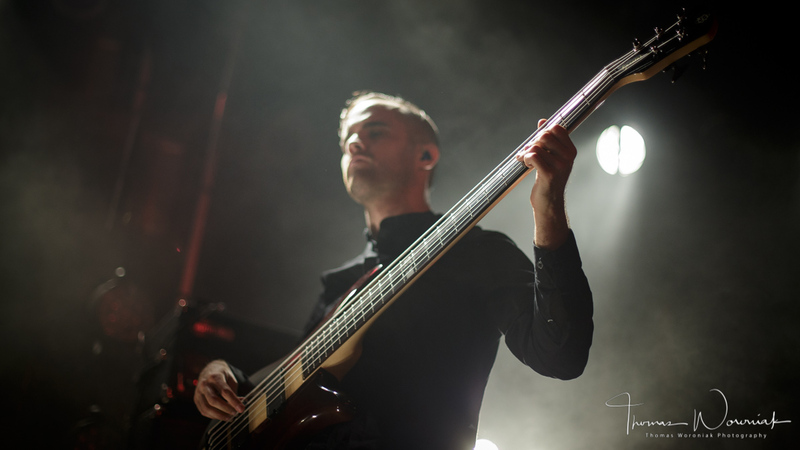 He’s been in a few other bands, but, oh my gosh, one of the best bass players I’ve ever worked with. Same goes for the drummer, Will Hunt. Just scary good. I wanted to mention that to you… I’m a musician myself, a drummer, as a matter of fact. Your brother heavily inspired and influenced me. But the rhythm tracks on this record, One Sided War, from both Will and John, are amazing. The bass playing and drumming is amazing. Never mind the rest of the great guitar work that you mentioned, which I agree with. It really stands out. And the production value on this record, to my ears, is even a step above your last record. You can hear it. The guitars are right there in the mix. That’s amazing. Danny Bernini, I’ve got to give all the credit as well to Danny, just as much as I receive. Danny’s the engineer. He’s brilliant. He brings so much to the table. I couldn’t do this without Danny. Our goal, Danny’s and my goal, which we’re a team, is to improve with each album that we do, so I’m hoping and praying that the next Stryper album, which we’re going to do, in February of next year, when that comes out, I hope it sounds better than One Sided War. For sure. I want to talk about the first single… “Radio.” What a cool song! First of all, melodically… the melody in the chorus just pulls you in. Every time I listen to it, it hooks me even more, which is great. And that’s the idea of course. Obviously, we know who all those guys are. We don’t need to name names, but I just find it a little odd that you’re hearing and seeing more and more of that. I was talking to Eddie Trunk the other night, and I threw out the flipside of that. 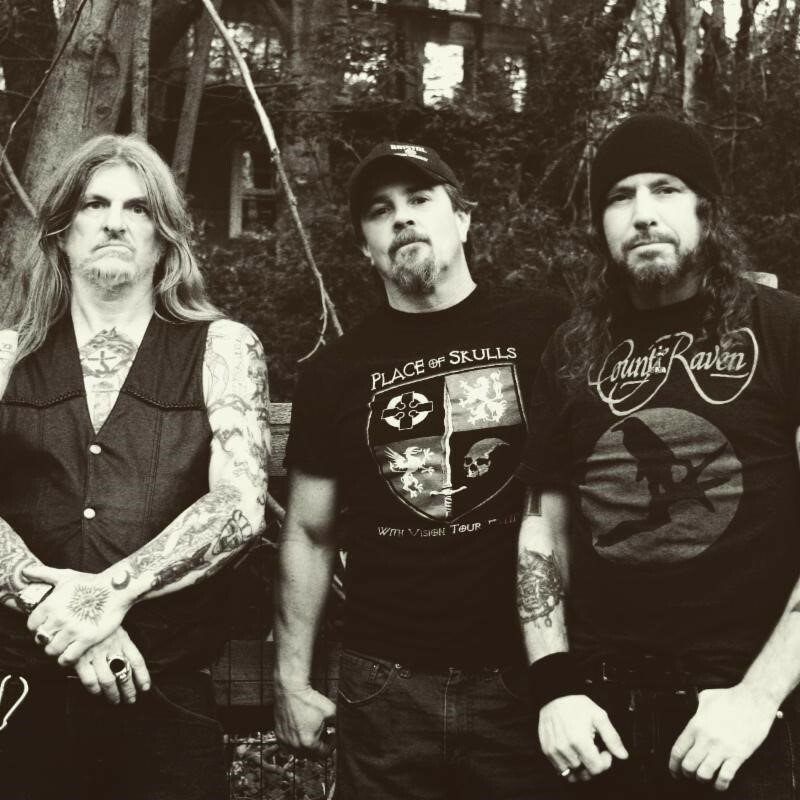 Just imagine, for one second, if country became unpopular, hard rock and metal became as popular as country is now; top selling, and all the country guys started becoming hard rock and metal guys. Everybody would just be laughing. There’s no difference, in my opinion. It’s a great point. I applaud you for that. Have you gotten any flak yet on this from anyone? Has anyone not seen the humor in it, the good fun in it? Not yet. I didn’t really do it to expect that or to wait for that. Maybe I will; maybe I won’t. It doesn’t really matter. I’m sure people are seeing it. I’m sure Steven Tyler has seen the video, and other guys. Maybe Bret Michaels, has… I hope Bret Michaels has watched it, and maybe got something out of it. You just can’t flick a switch. I grew up around country music. My Dad wrote a #1 country song in ‘76. I played on his sessions when I was a kid, his country sessions, and I watched Hee Haw every week. I grew up with Country. I respect Country. I’ve written with the biggest writers in Nashville. Trust me: I respect it. Because I respect it, that’s why I had to do this song. Yes, understood. I think it’s great. I applaud you for the courage to do that song. I think it’s a cool thing, and I think if people really sit down and listen to it, and hear what you’re saying in it, and the goodhearted fun that you’re poking at it, I think it’ll go over great. There are so many great songs on this record; I could go on and on, but I also want to mention Stryper‘s 30th Anniversary To Hell With the Devil tour coming up. I’m in Illinois, so I’m going to be shooting both the Chicago, House of Blues show in October, and the Arcada Theatre show in St. Charles, IL next month. That’s awesome. We should hook up, and certainly meet and hang out. I would love to. I’d appreciate that. I’m writing this review of One Sided War, and then this interview will appear in conjunction with that shortly afterwards. 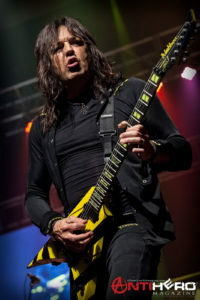 The Stryper tour is going through the end of the year. And you mentioned a new Stryper album early 2017. And I heard you talk about another Sweet & Lynch album coming up after that, right? Right after I finish the Stryper album, in February and March, I go right back in the studio with George [Lynch] and we do a Sweet & Lynch album. Then I’m going to do some solo touring, and I want to do some Sweet & Lynch touring. 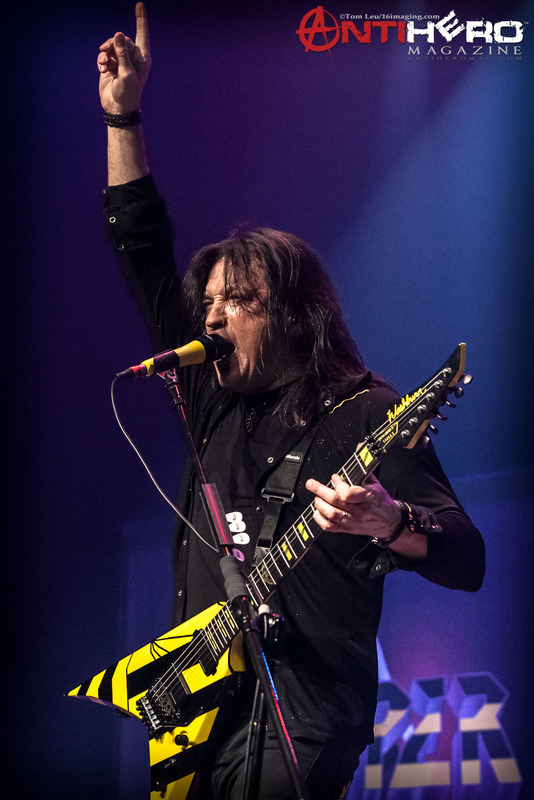 We will do a handful of select Stryper dates next year as well, but the primary goal is going to be some Michael Sweet solo touring and Sweet & Lynch touring. Then, I’m also talking right now… I want to schedule a Joel Hoekstra and Michael Sweet album. I heard that. That’s exciting! It is. The reason why that’s going to be really cool is obviously Joel is as good as it gets and a force to be reckoned with, but also, we’re going to go in a little different direction with that. I’m thinking more like ’70s Zeppelin, Whitesnake, etc. An album where people hear it and go, “What? Wow!” Yeah. It’s going to be really cool, man. That sounds really exciting and a departure, somewhat, from your classic sound. As a fan, that sounds amazing. I can’t wait for that. I hope that actually happens. Still heavy, right. Which is your calling card. Exactly. It’ll still have heavy. I should have probably even thrown the Deep Purple name in there, but just definitely more of that ’70s, just rockin’ stuff, and the writing more in line with that. You mentioned touring solo. Great, that needs to happen. I know it’s been like 15 or 16 years since you’ve toured solo. I’m sitting here looking at all of your solo albums, which I have all of them, by the way. I do. What One Sided War has done for me, Michael, is that it’s forced me to go back and listen to your earlier solo music. It’s been a little while since I pulled out Truth, and Real, and your first record. I’ve got to tell you: there’s some criminally overlooked music on your earlier solo records. The album Truth, in particular, is one of my favorite records. Yeah. You know, that one, that was a sad story. I think that album had a lot of promise and could have done exceptionally well. I signed a deal with a company called Restless Records. They were owned by Regency Films, and literally, no joke, I turned the album in, Bob Marlette produced it, put a lot of money into it, we were going to do a video for “Save Me“… It was going to explode. It would have been killer, but I called in, and I found out that Bill Hein, who also ran Enigma, left Restless Records, and a few weeks after that, they closed their doors. That album basically got released, but it didn’t get any push whatsoever. You actually talked about this in your book, Honestly, which I read cover to cover in about two days, because it was fascinating. You did a great job with that. Are there more books in Michael Sweet‘s and/or Stryper‘s future, possibly? There’s definitely another book in Michael Sweet‘s future. There’s so much more I wanted to say, and honestly, I wasn’t able to say, and then, obviously, many years have passed since then, so there’s a lot more I want to talk about. There will be another book. I don’t know exactly when, but there will be. I’ve already talked with some people about it. Then I’m going to keep recording music. I hope I have another 10 or so solo albums left in me, and hopefully another 10 or so Stryper albums. That’d be phenomenal. That would be. You’re so prolific, and so busy. You remind me of me in some ways, just in terms of… you’ve talked in other interviews about when you have some downtime and you can’t sit still, and all of that. I wish, Michael, that I could learn how to relax a little bit myself. I don’t know how to do that very well. I’m sensing that maybe you don’t either? I don’t. Exactly. We sit down to watch a movie, and have family time, or whatnot, and I’m just sitting there thinking about everything else but the movie for two hours. Yeah. It’s bad. I’m with you… Music is your job. It’s your livelihood. Does it ever get not fun for you in some aspects, at times? The only time it gets not fun is when there’s too much drama. Quite frankly, that’s why, often enough, I do solo albums. Because the more people you have involved in a band, you’re going to have more drama. I like getting away from that occasionally. When I do solo albums, I escape that. I escape all the Stryper drama. Sometimes, there’s so much of it, it almost robs the joy and takes the joy right out of it, out of what you’re doing, so you’ve got to try and keep a handle on that. That’s all. What about touring and burning out, how do you keep that fresh? What do you do to manage that aspect of your career? Playing the songs again and again, does that ever get difficult? It doesn’t once we hit the stage, no. Before we hit the stage, yes. We can be sick. We can be really tired and exhausted. We’re like, “Oh my gosh. How are we going to get through this show?” But the minute we get out there, the switch flicks, and it’s like boom. We’re on, and we can get through it, and something just happens, and we’re able to pull it off. So far, I haven’t burnt out on playing songs or playing the set. I still love what I do. I’m just so thankful for that. It shows. You’re one of the humblest guys, it seems. I don’t know you personally, but from what I hear, you’re very gracious, and I appreciate your time today. Last question for you, Michael, before I let you go: what’s one thing that’s maybe misunderstood about Michael Sweet? Oh, man. Again, as I said, and I started to touch on it earlier. Because I’m so opinionated and I will voice what’s on my heart, I think that comes across as being either egotistical or not so nice, maybe. If you were to just hang out with me, I go out of my way to be nice. I don’t care for people who are not nice. It bothers me. I’m one of those guys where, kind of like the kid getting picked on by the bully, I’m always going to be that guy that steps in and says to the bully, “Really? Take it up with me.” I’m just built that way. It’s admirable to have a point of view, to take a position. Your whole career has been identified with that. What Stryper has done… I can’t imagine the courage it took, and what you guys have endured all these years. Particularly back when you first came out in the ’80s, and all the flak you took from Christians, non-Christians, etc. Okay, One Sided War, Rat Pak Records: it’s out. It’s by far your best solo record… forget solo; it’s a great record, period. It could stand on anything else you’ve done, Stryper or otherwise. I really appreciate your time today Michael. It’s good to speak with you, and I will take you up on that offer to meet and hang out. I’m going to see you in St. Charles on September 23rd, and then again on Halloween, House of Blues in Chicago at the Stryper shows. Let’s do it. Let’s say, “Hey,” and hang out. Listen, it’s been an absolute pleasure. I appreciate your time. What a joy it’s been talking to you. Thank you so much, Michael. It’s been my pleasure. All right, my friend. Take care.